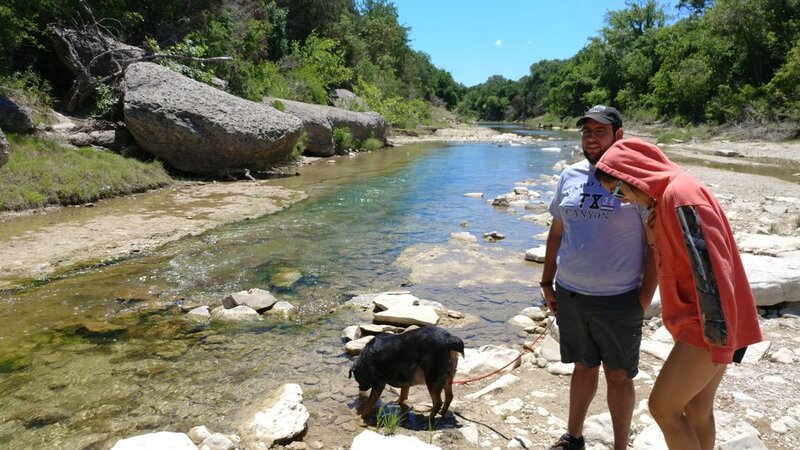 Today, instead of our regularly scheduled hike, we picked up a friend and my aunt and headed down to Dinosaur Valley State Park in Glen Rose, TX. It was a very cool 70, it was windy, and the sun was shining. We did the Black Capped Vireo Trail, Overlook Trail, and the Paluxy Trail. All in all, the terrain was moderate. We arrived shortly after a mountain bike race, and had to deal with some of the after effects including a few bikers, and various confusing trail arrows. We would have loved a warning from the front gate about the mountain bikers, but all in all it wasn't that bad. 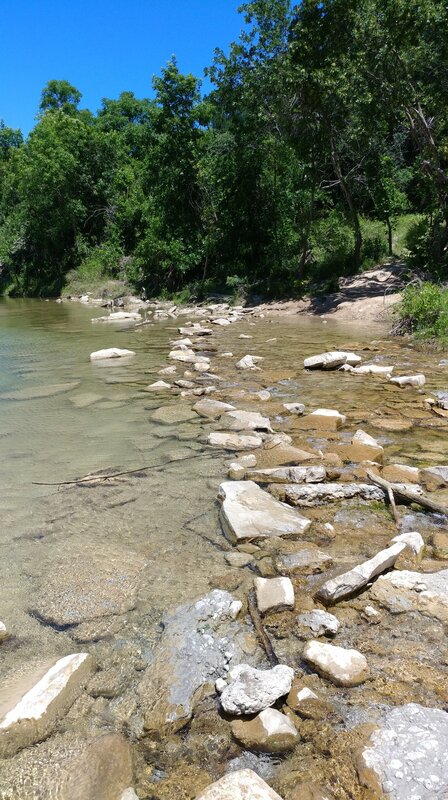 The river was flowing, but it was low, so crossing to the trails weren't that bad. Chewy the dog had a good swim hunting for sticks. As far as my hikes go, I'm up to just over 86 miles after the hike today!